A ballplayer and a team owner would give anything for a championship—even their hearts. 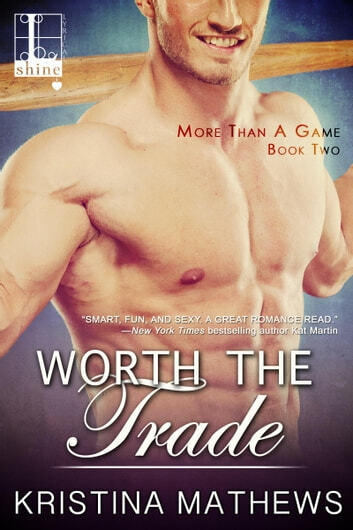 . .
After inheriting majority ownership of the San Francisco Goliaths baseball team, Hunter Collins wants to prove to herself—and the rest of the league—that she's got what it takes to build a champion. Her first move is to trade for a hot left-fielder. He's got it all, speed, power, and a desire to win. Not to mention undeniable charm. Marco Santiago is tired of being the new player in town. After four teams in six years, he's facing free agency at the end of the season. He wants nothing more than a long-term contract and a World Series win. Hitting on his new owner probably isn't the best way to get it, but love may be the most powerful challenger either of them has ever faced. . . Loved the book it's a great story. Marco & Hunter are awesome together. Their story is sweet, funny & heart wrenching at the same time.